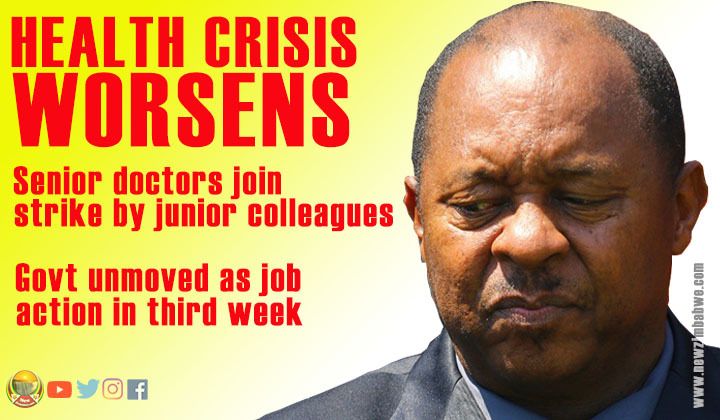 THE crisis in Zimbabwe’s public health sector is set to worsen this week after some senior doctors indicated they are joining junior colleagues in job action that started more than fortnight ago. 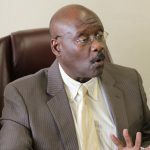 In a letter seen by NewZimbabwe.com addressed to the Clinical Director at Parirenyatwa Group of Hospitals, the senior doctors they could no longer cope with the increased workload created by the absence of their juniors. “Due to the ongoing industrial action by our junior colleagues, we as the Registrars are now overwhelmed by the workload and we are now unable to effectively discharge our services,” reads the letter in part. 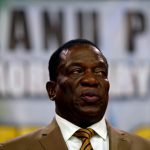 Government-employed junior doctors went on strike, demanding that the Mnangagwa administration pays their salaries in United States dollars as the surrogate Bond Notes and the RTGS currencies plummeted in value amid a deepening economic crisis. The general practitioners are also demanding that government addresses the availability of critical medicines as well as medical and sanitary sundries, claiming they are, for instance, being forced to resort to the use of condoms as protective gloves due to acute shortages. With the country reeling from foreign currency shortages, the government, has ruled out payment of salaries in US dollars, saying the available funds are better spent on importing medicines. The doctors have conceded the position but they are refusing to budge on other demands. 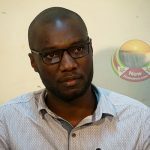 “We have negotiated starting from theUS dollar demands which we have removed,” said Zimbabwe Medical Association (ZiMA) secretary general Sacrifice Chirisa last week. The junior doctors have rejected appeals by the government to return to work, demanding firm guarantees regarding promises made by the administration during negotiations last week. 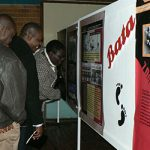 “What is of particular importance is that these discussions should be followed by evidence on the ground and evidence on the ground is the availability of medicines and medical and sanitary sundries,” Zimbabwe Hospital Doctors Association (ZHDA) secretary general Mthabisi Bhebhe. 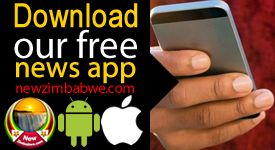 The doctors’ strike has increased pressure on the Mnangagwa government at a time teachers are also warning that schools won’t open for the term next year unless the administration pays their salaries in US dollars.